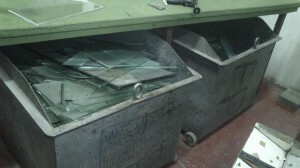 When removing the old windows waste generated are selected in different families (wood, glass, rune, aluminum, etc.) and taken to a collection point run by the municipality where they are deposited in the appropriate container. 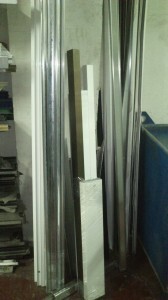 In the case of recyclable materials (glass and aluminum) are separated and managed by a company for collection and recycling of these materials. 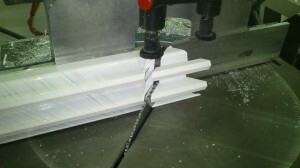 Second, during fabrication and machining a new window aluminum waste generated due to pinching, angle changes and reorganization of the aluminum bars (6 meters long) provided by our suppliers, aluminum cutting one splitter (circular saw) also generates an aluminum sawdust, in the same way that the cut wood sawdust generated. 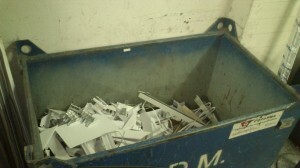 All this waste is placed in a container and managed by a company for collection and recycling of aluminum. 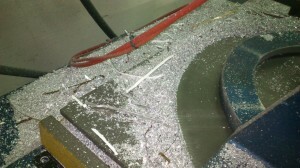 In turn, in the glasses cutting also debris is generated are stored in glass containers and is managed by a company and recycling. Thus, the waste generated in the change of a window are treated in the most efficient and environmentally possible, recycling as much waste.